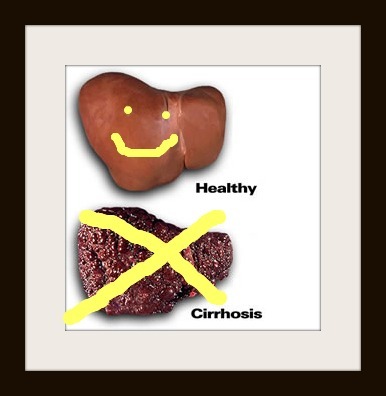 Reflections of a Grady Doctor: Faces of Grady: Hepatitis, see? My dear, dear friend and (award-winning) Grady doctor, Lesley M., focuses her practice on patients with Hepatitis C. And let me just share a few things about Hepatitis C.
Hepatitis C is a viral hepatitis. That means that a person gets infected with a virus (that gets transmitted mostly through blood) which subsequently attacks the liver. Hepatitis C is a smooth criminal. It does its damage slowly . . .kind of like the way termites do. And the same way folks don't realize they have termites until all hell is breaking loose or they get swarmed is the same way Hep C sneaks up. Stealthy, I tell you. Some crazy number of people in the U.S. have Hepatitis C. Crazy meaning nearly 3.2 million according to the CDC. And because it's such a ninja, people don't feel sick so they don't know they even have it. In fact, most are shocked to hear they have it. African-Americans are disproportionately affected by Hepatitis C, and also are more likely to have the genotype that is harder to treat. Okay. So seeing as I work at Grady with Lesley M., it's fair to say that we see our share of folks with Hep C. Well back in the day, shortly after Lesley and I first joined the Grady faculty together, Lesley and another one of my other favorite people began putting together a better way to help our patients with Hepatitis C. Our other Grady-bff, Natalie L., who has since become the New York equivalent of a Grady doctor (a Bellevue doctor), was one of the people that, along with Lesley, spearheaded what became Grady's "Liver Clinic." Friends first. Nerdy-public hospital doctors second. Reunion here with our favorite Bellevue doctor, Nat L.
Here's what's cool about what Lesley and others do in the Liver Clinic: First of all, Lesley isn't a hepatologist or to put it in layman's terms, a "liver specialist." Quite the contrary, actually. Lesley is a general internist (like me) who saw a need for patients that wasn't being met. She has since devoted her time and career to assisting patients with learning about Hepatitis C and especially navigating the oft times tricky task of getting the expensive treatment. Lesley gets with all sorts of people with resources and helps make these available to our patients. She then manages and directs all aspects of their care surrounding Hepatitis C--which takes a tremendous amount of effort, work, and attention to detail. When you think about the ways that people get Hepatitis C, you realize how awesome it is for our patients to have her there. A lot of people with Hep C have led some hard lives. Some acquired it through injecting IV drugs or getting crude tattoos in jail. Others may have been transfused or come in contact with bodily fluids at some point. And, sure, there are a significant number of people who did none of those things and have no idea how they got it. But where we work, lots of people seen for this have some kind of story. I like knowing that they can get the treatment they need and deserve without having to get judged at the same time, don't you? The Liver Lady also teaches the residents, faculty and students about Hep C. I'd go so far as to say that, thanks to her, we are ALL more aware of the need to test patients for Hepatitis C at Grady--and even better, we get them treatment. It's so different than it was when I first started here. We'd try to send our patients with Hep C to our gastroenterologists who were already overwhelmed with multiple other GI issues in our patient population. That, combined with the expense of getting folks treated, meant that people fell between the cracks if they had no insurance (which our patients rarely have.) This woman has, literally, changed the lives of countless people by watching the blind side for folks who don't see cirrhosis coming to tackle them head on. That's what I'm talking about. So recently, the CDC put out these videos on the "Faces of Hepatitis." Lesley M. was featured in this video that, OMG, I just saw for the first time Thursday. This is absolutely subpar considering she is one of my besties and also the person that caused me to go very close to the ugly cry at Celebratory Grand Rounds last year. So. . . .here it is. My friend and fellow Grady doctor, Lesley M. talking about treating patients with Hepatitis C. Oh, and if she looks like an amazingly kind and sweet human being? It's only because she is. I kind of teared up when I watched this--and refuse to watch it again because I'm certain I will full-on cry if I do. First of all, because Lesley is my friend and I respect, love and am proud of her. And second of all because she shows a side of Grady hospital that people don't often see. Many think of what we aren't doing right or feel skeeved out by some of our patients or even imagine it as only a place for trauma. But see, it isn't. It's a place that has people like Lesley M.. . . a woman so accomplished that upon graduating from residency she was awarded the "Best Resident" title. This means she could be anywhere in the world--including a marble building with slick floors and insured patients--but she has chosen to be here. Yes, she has. This? Man, this is the Grady I know. And I'm proud to be working shoulder to shoulder with people like Lesley the Liver Lady. Damn, I love this place. It's inspiring to see the difference that just one dedicated person can make! Thanks for sharing, Dr. Manning. Ok, Dr. M. We all join in the denigration of Grady. We all seem to have the idea "Well, then there's Grady" and because we have insurance go to other hospitals. I go to pill hill because that's where my heavy hitters oncologist, nephrologist and cardiologist are and because I work at the big brown shipping company I have awesome insurance. But the real scoop is this, my father went to the VA, because he could. And they treated him in a way he understood. And reading his medical records that I asked for 25 years after his death, I was amazed at the level of care he received. He was blessed that he could go there. When my brother in law was diagnosed with lung cancer he received care at Grady under the supervision of Dr. Rose. Because I was familiar with cancer care, I must say I was extremely impressed. Despite the neighborhood, this was not the "well, then there is always Grady" care I was always told about. I never stayed there after dark, but the care he got was first class. My 26 yr old daughter has hepatitis C from blood she received as an infant during an open heart procedure. She was diagnosed because Dr Kim, her Adult Congenital Heart Clinic MD at Penn asked for a screening test. She is just now deciding when to start treatment under the guidance of her doctor. It is a scary time but we feel fortunate that there are new drugs and the chance of a cure. She is asymptomatic and busy planning her August 2012 wedding and going to grad school now. God bless those that serve the underserved. There is no glory, jus the knowledge that they are doing the right thing. Thank you for sharing this post. My husband Larry was diagnosed with Hep C in the fall of 2003 (he had no CLUE he had the disease until he was diagnosed after simple blood work during a routine physical showed elevated liver enzymes), and spent most of 2004 sick on interferon and riboviran. Right after the treatment, he was clean. Six months later, the virus was back. He tries to take it easy, and he's pretty good about seeing his gastroenterologist. It's nice to know there are caring doctors out there who are looking out for Hep C patients. Because he doesn't have outward symptoms and doesn't seem "sick", people don't understand when he needs to rest and not work himself so hard. Lena -- Thanks for your comment. She is so inspiring. Emmy -- I love knowing that you have your own Grady testimony. And the doctors at the shmancy hospitals are some of my best friends. I don't knock them. I just love showing another side of Grady and Lesley M. is so very one of those sides. Mary Alice -- This is an exciting time for your daughter for many reasons. Like Dr. Miller said, more is on the horizon with HCV. Hey, and congrats to you, Ms. Mama-of-the-bride!